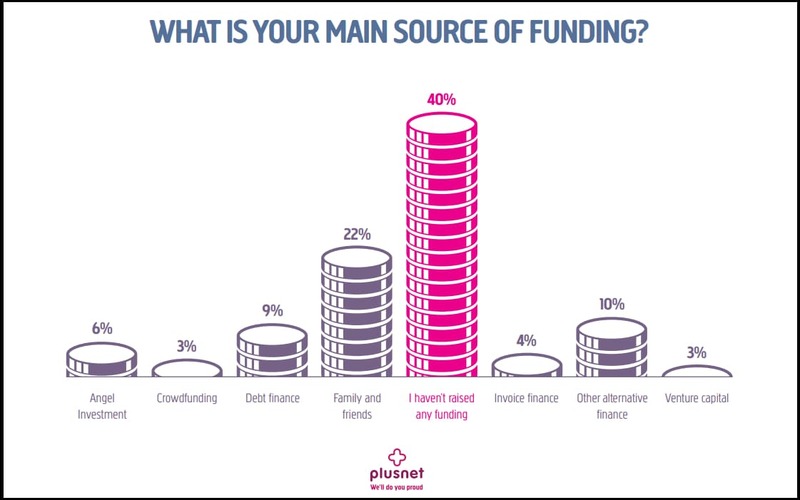 A survey of 500 Startups.co.uk readers, carried out in partnership with business broadband and phone provider Plusnet, has found that a third (34%) of UK small business owners find attracting new customers their biggest challenge, followed by accessing finance (29%). We asked you, our audience of start-ups and small businesses, to share your experiences on two of the key issues you face on a daily basis: marketing and funding. Despite how crucial these two areas are to the success of a business, the findings highlight how difficult it can be for you and your peers to get investors and customers to fall in love with your business. 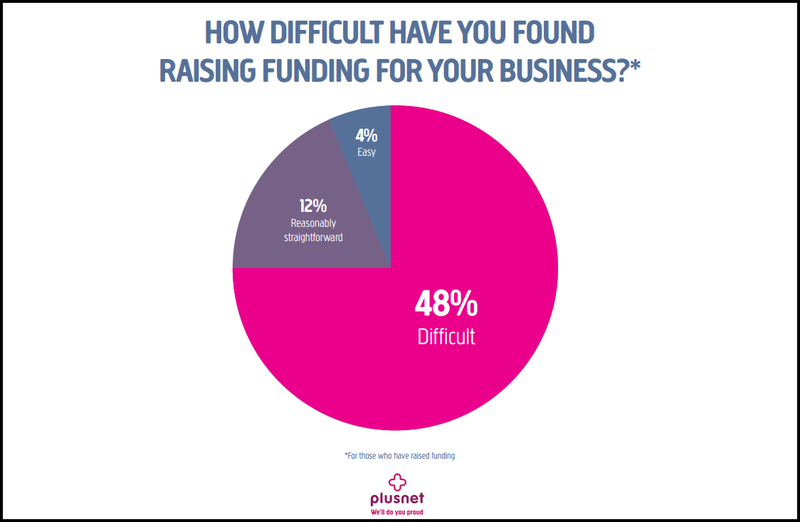 Plusnet commissioned the research as part of its ongoing commitment to help start-ups take on and overcome key challenges when running a business. For the second year running, business broadband and phone provider Plusnet has joined forces with Startups.co.uk for its Plusnet Pioneers campaign and enlisted a panel of leading UK entrepreneurs to share their top tips for success. This year’s Plusnet Pioneer panel are made up of trailblazing business founders who have shared the unique insights and maverick strategies that helped them build some of the UK’s most exciting and successful companies. Richard Reed, co-founder of Innocent Drinks and JamJar Investments, is on board with his experience from both sides of the investment process. Social Chain CEO Steven Bartlett, and Tom and James Exton from LDN Muscle, join the Plusnet Pioneers panel as leading social media experts, and Katie Massie-Taylor and Sarah Hesz share their experiences of raising funding and creating their hit app, Mush. Their invaluable knowledge, first-hand experiences and entrepreneurial expertise, have been used to create inspiring content that will help the next generation of UK businesses reach their potential. The research was run alongside a roundtable discussion hosted by Startups.co.uk and Plusnet, bringing together other bright lights of the UK’s enterprise scene to talk about the challenges they’d faced in starting and growing their companies. Read more about the roundtable here. Getting investment is hard. 48% of UK start-ups and small businesses have found it difficult to raise investment – most businesses don’t secure investment the first time they go looking for it. Investors are intimidating. 35% of the UK small businesses we surveyed said pitching to investors had been a daunting process. Marketing remains a puzzle for many. Only 27% of small businesses surveyed were confident in their marketing strategy and felt it was working effectively, while the majority of businesses (58%) admitted to spending less than 10% of revenues on marketing. Social media is an untapped opportunity. While 58% of businesses reported social media being the most powerful tool for marketing their businesses, a number of businesses are yet to adopt social media within their marketing strategy. The reason for this? 20% said they weren’t sure which social media channel would work best for them. Of the 500 small businesses we surveyed, nearly half (48%) said they had found it difficult to secure funding. Astonishingly only 4% said it was easy, while it took the majority of those who had successfully raised investment a tough two to four attempts (27%). In fact, 40% hadn’t raised any funding, with almost the same proportion believing that their business was too young to secure investment. This highlights how difficult the process can be and suggests a lack of awareness among start-up founders of the pre-seed and seed-stage investment opportunities available. Although 29% of business owners spent months preparing to get their pitch investment-ready, over a third (35%) of those surveyed found it intimidating to pitch to investors. While entrepreneurs are known to be a self-confident bunch, the findings reveal how unnerving pitching to investors can be – even for the most experienced. Investors could do more to help entrepreneurs overcome their fears by sharing their expectations and making them feel at ease – better communication between the two parties is a must as a business opportunity shouldn’t be lost at the hands of a nervous pitcher. Over a quarter (27%) of respondents felt their current marketing strategy was not as effective as they’d hoped to attract new customers, while almost one in four (24%) admitted they’d benefit from advice on how they could improve it. Surprisingly, marketing wasn’t a major focus for most businesses surveyed. 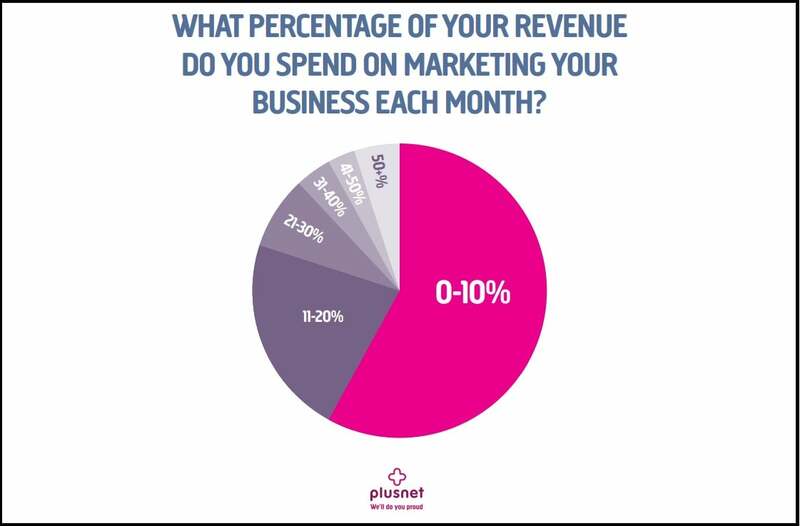 58% claimed to spend less than 10% of their monthly revenues on marketing their business, while just 5% spent more than 50%. Alongside our research, a recent study from Gartner found that companies allocate an average 12% of their revenue to marketing. The two findings raise the question of whether start-ups’ marketing strategies would be more effective if they were prepared to commit more revenue to campaigns. 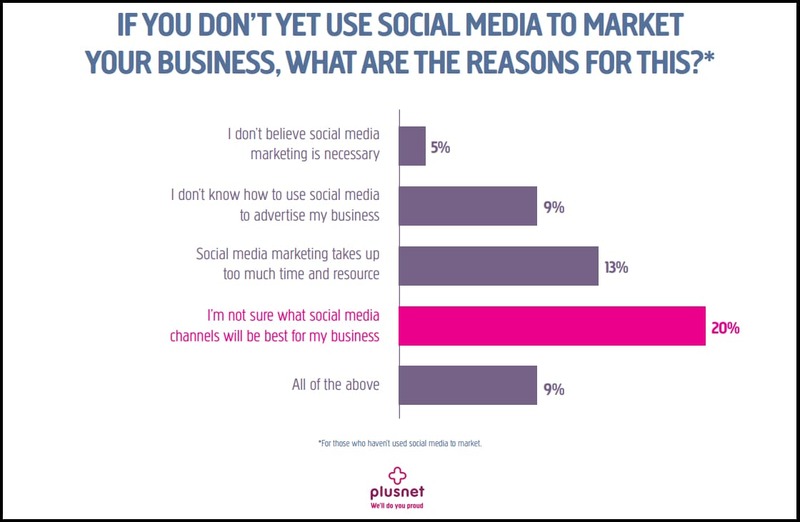 One in five start-ups admitted they had not used social media to market their business because they didn’t know which social media channel would be best, while one in 10 (9%) small businesses admitted that they don’t know how to use advertise on social media. More help and advice on the many different channels, and how to use them effectively, is clearly needed. While social media is a challenge for some, it remains the most commonly-used marketing channel among small businesses. 58% reported that social media had proven to be the most powerful marketing channel for their company and 49% said they had funnelled most of their marketing spend into platforms such as Facebook, Twitter and Instagram. On the flip side, outdoor advertising (4%), and TV and radio (2%) received the least marketing spend. The findings highlight the need for support and advice for small businesses that are struggling with marketing and funding. This is why Startups.co.uk and business broadband and phone provider Plusnet have taken steps to help your small business thrive with Plusnet Pioneers. The Plusnet Pioneers campaign aims to inspire, inform, and support your business, and the millions of other small companies that make up 99% of the UK’s business population. You can find out more information about business broadband and phone provider Plusnet here.